The collapse of Compass (R M R Financial Services) debt management company has been much in the news.  This has had a huge impact on their clients, many of whom thought they were paying off their debts but have in fact lost thousands of pounds and are left devastated. This model appears to work by the company offering creditors low or token payments whilst the rest of the client’s available income goes into a “savings pot”. The intention is that the saving pot is built up to be used in future to make offers to creditors in full and final settlement of the debt. While the pot is building up, which can take years, the client pays considerable monthly fees to the company. Debts may keep going up while they are building the ‘savings pot’ which may take some years, unless creditors agree to freeze interest. Clients could risk losing their ‘saving pot’, as has happened to some in the Compass case, if the firm goes into administration. It should not be possible for debt management companies to lose client money in this way as under FCA rules client money should be kept in a separate client account at all times and be distributed within 5 working days. It is not clear to us how this works for the full and final settlement model. Under FCA Consumer Credit (CONC) rules it should not be possible to present a complaint financial statement to creditors that hides how much money is available to pay debts. We wonder what information creditors were given and whether they were fully aware of what was going on. It is simply not ethical for companies to hide the client’s real available income and siphon it off into a “pot” for future distribution without full agreement with all parties. Whilst the FCA Client Assets (CASS) rules do much to prevent this type of activity, they usually only apply once firms are fully authorised by the FCA, a process most debt management companies are still undergoing. We are also concerned that this model will mean minimal payments to creditors. 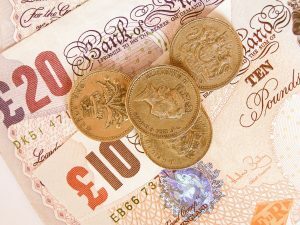 Minimal payments may have the effect of creditors taking further action, whilst continuing to add interest and charges. This may mean the debts grow ever larger whilst client money goes into an unsafe savings pot and the debt management company is paid a large fee for doing very little. How widespread is the problem and what can be done? Compass is not alone in offering this model. We have been, and will continue to forward the details of various other companies we hear about to the FCA. We are sure that regulators will be well aware of the issues and be prepared to use their powers to take all the pre-emptive action they can to stop more clients losing large sums of money in future. We hope that as the FCA authorisation process completes these issues will be fully addressed. In the meantime, there is a potential risk that further debt management companies will go the same way as Compass, with the loss of money that their clients can ill-afford to lose. When the consumer credit regime was put in place, the FCA agreed to look in 2016 at whether the Financial Services Compensation Scheme should apply to debt management companies. This scheme could, and should, be put in place immediately to protect victims of failed debt management companies. For the individuals affected we would support the call made on Radio 4 You And Yours by Legal Beagles for creditors and debt purchasers to consider reducing or writing off the debts still owed by Compass clients in recognition of amounts they have lost and the distress caused to people who are often in very vulnerable circumstances. This would be a great example of treating customers fairly and would urge creditors to respond positively.